Do you want to sponsor or exhibit at ICIEM 2021? Click the button below to express your interest in Sponsoring and Exhibiting and one of our team members will contact you for more information. 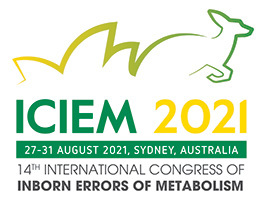 The Australasian Society of Inborn Errors of Metabolism and Human Genetics Society of Australasia would like to invite you to Sydney in August 2021. We are all excited to welcome local and international guests to our beautiful shores. The 2021 Congress will be held in the new International Convention Centre, Sydney. The Centre will be one of the world’s newest Convention venues, providing Congress attendees with state of the art facilities and comforts. Sydney itself is nestled around the spectacular Sydney Harbour. Attendees will be able to travel by ferry to many of the scenic attractions of Sydney, including Manly Beach, Luna Park and the famous Taronga Zoo. There are approximately 100 beaches in and around Sydney so water-based activities are plentiful, as are bush walks and coastal treks. The multicultural city abounds a huge variety of restaurants and bars centred around the iconic Sydney Opera House and Harbour Bridge. Australia and New Zealand have a host of natural tourist attractions such as The Great Barrier Reef, Uluru, The Twelve Apostles and Milford Sound. There are a host of wineries including the Marlborough Region, Barossa Valley and Margaret River. The meeting will be a compelling mix of innovative basic science and cutting edge translational research tempered by pragmatic medical and allied health practitioners in the field. Australians and New Zealanders have supported the growth of our specialty in the Asia Pacific region and we will be delighted to host our colleagues from here and from around the world. 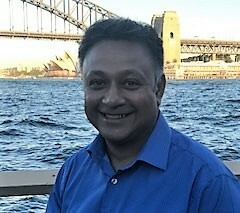 Please join us in Sydney in 2021 for what will undoubtedly be a spectacular Congress.